The Romans understood terroir and were very cautious about where they planted vines. Before the Romans, the Etruscans lived in what is now called Italy and they made wine from wild grapes. It appears that there was an abundance of them in the Mediterranean region. Roman wine production was heavily influenced by both the Etruscans and the ancient Greeks. After harvesting the grapes, individuals would trample on them This might not have been hygienic, but it was the best way the Romans understood to press wine. After the trampling, the wine was transported to be pressed in a torculum or wine media. The grape juice has been strained to get rid of the grape skins and seeds. The next stage in the production process was to move the liquid into the enormous jars or amphorae in which it could ferment. Occasionally these vessels were buried in soil, sand, or water. Sometimes these juices were boiled prior to storing them in these vessels. If the end result was to produce a high quality vintage wine, the wine could stay in the vessels for between 10 and 25 years. But, wine was usually left for between 9 days and a few months. This was Roman plonk! Pliny the Elder wrote about the Roman way of producing wine and growing vines in his work,’Historia Naturalis’ translated as Natural History. He wrote that Italian wine has been the very best in the world, or at least in the known world. However, the Romans and their compatriots cornered the wine market, disallowing other competitors from other countries beyond what is now called Italy. So other nations like France, Spain and Portugal were not allowed, officially, to produce wine. According to Pliny, by the middle of the second century BC, wine was an important commodity. However, as the Roman Empire grew, the export value of wine could diminish, as grapes were cultivated in other parts of the empire, notably in what is now France and the Iberian peninsula. 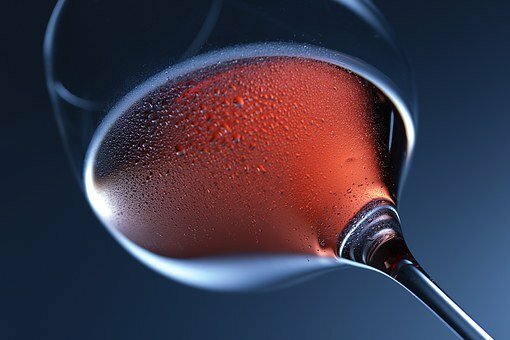 The Romans drank wine at any time of night and day, but it was diluted with water since it was stronger than wines of today. Wine production continued, but it fell out of favour until the Renaissance, when there was a revival of interest in classical culture. So wine from the Roman Empire had its ups and downs, but luckily, the artwork of wine-making survived.